Keep in a cool dry place at room temperature, away from direct sunlight. Once opened, empty contents into a suitable container. Keep refrigerated and use within 2 days. 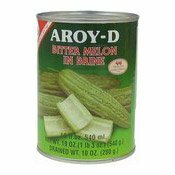 Ingredients: Bitter Melon (50%), Water, Salt, Citric Acid (E330) As Acidity Regulator. 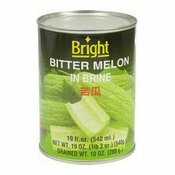 Simply enter your details below and we will send you an e-mail when “Bitter Melon In Brine (苦瓜)” is back in stock!